Earlier this year, a study by Dean Falk hoped to put to rest the homo floresiensis controversy by comparing casts of the homo floresiensis brain with that of other microcephalic humans. The results of the study showed that there were marked differences between the LB1 brain and the brain of the microcephalic human, inferring in turn that the hobbit was really something else. While the verdict on the Hobbit is still up in the air, we take a segue and look at the method used for this study and at Ralph Holloway, the scientist who pioneered the method of making endocasts. 25 November 2007 (Vietnam Net Bridge) – A feature on the Chu Dau pottery tradition, centred on the Chu Dau village and recently revived for the international market. Chu Dau’s pottery was once popular during the 14th-17th centuries. Lying snugly beside a graceful river in northern Viet Namâ€™s Hai Duong province, the Chu Dau Pottery Village, dating back to the 15th century is churning out tens of millions of artistic handmade items a year, many of which have found their way to over 50 countries worldwide.Verging on the bank of the Thai Binh River, it used to be the biggest pottery center of Vietnam from the 14th to 17th centuries and its potters were the most talented in making azure glazed pottery. Its products were ordered in huge quantities by Japanese and French businessmen at that time, according to history books. 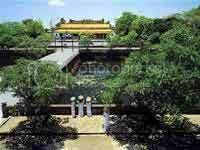 22 November 2007 (Vietnam Net Bridge) – The Hue Temple museum, used to house the antiquities from imperial-era Vietnam, will undergo a restoration during the next two years. Long An Temple, considered to be one of the finest wooden structures of the Nguyen dynasty (1802-1945), will undergo restoration over the next two years. 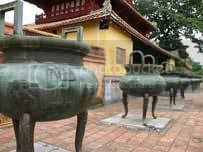 The Hue Temple is being used as a museum for royal antiquities. An investment of 13.5 billion VND (840,000 USD), from State coffers will be earmarked for preservation work in early 2008, said Phan Thanh Hai of the Hue Centre for Monument Conservation, which will over-see the project. Sample some Cambodian cuisine in Fragrance and Spice, Khmer Style. Fancy being a museum volunteer and getting up close with Greek antiquities dating as far back as 5th century BC? The National Museum of Singapore is seeking volunteers for an upcoming exhibition called Greek Masterpieces from the Louvre. Find out more. Alvin shares some images from the Mekong river in Fisherfolk of the Mekong. 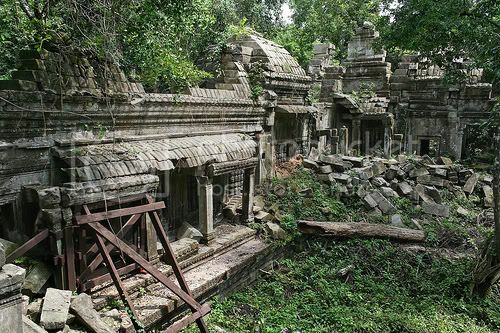 He also shares some papers on ancient Angkor medicine here and here, courtesy of Professor Rethy Chhem. Singapore Stuff has a feature on archaeology in Singapore and posts a range of links to sites on the subjec – SEAArch has been featured, too!